Arthritis can sometimes serve as a bit of an umbrella term. It is used to describe over 100 different types of joint pain and joint disease experienced by millions of people. 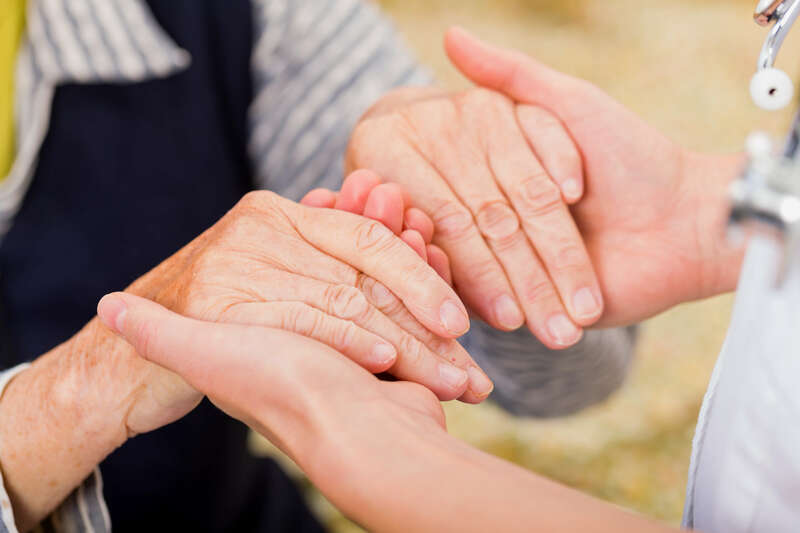 It is true that arthritis seems to favor the elderly, as it becomes more apparent in people as they age; however, it is possible for people to experience arthritis in their early middle age. According to a study published in the American Journal of Sports Medicine, it actually has a higher probability of affecting elite male athletes than the rest of the general public. It states that about 30 percent of elite male athletes who engage in contact sports will develop arthritis in the knees and hips, due to the wear and tear that the overexertion has on their joints. They are also more likely to be at risk for arthritis later in life. A common treatment for arthritis is medication, usually for pain manageability. Your physician may prescribe NSAID pain relievers, corticosteroids, antirheumatic drugs, or antibiotics for your arthritis treatment. Medication is easy – you pop it in your mouth, chase it with water, and your pain subsides shortly afterward. However, they can also cause some unfavorable side effects, and in some cases they can be habit-forming. With NSAIDs, you run the risk of blood clots, heart attack, or stroke. With corticosteroids, you run the risk of cataracts, high blood sugar levels, and bone loss. Luckily, there is a much safer and healthier alternative to treating arthritis: physical therapy. If you believe you may be experiencing arthritic pain, and you’re looking for relief without the harmful risk of drugs, call our office today. We’ll set you up with a physical therapist who can help you kick the meds and reduce your arthritis symptoms! Osteoarthritis: This is the most common type of arthritis. It is caused by a reduction in joint cartilage through the “wear and tear” one experiences with age. This process of wearing down cartilage causes bones to rub together, which leads to pain and swelling. Physical therapy can often help to reduce osteoarthritis pain without medication, especially if it is diagnosed as mild-to-moderate. Inflammatory Arthritis: Also referred to as Rheumatoid Arthritis, this occurs when the body’s immune system attacks joint tissues with intense inflammation. Inflammatory arthritis often has a genetic cause, and doctors usually treat it aggressively with drugs. However, depending on the severity of symptoms, physical therapy may be recommended for treatment as well. Metabolic Arthritis: The most common type of metabolic arthritis is gout, a condition caused by uric acid crystals building up in the joints of the extremities, especially in the feet. This is typically a result of reduced kidney function. Physical therapy can help gout patients restore range of motion in the affected area, and it can even reduce the buildup of acidic crystals that accumulate in the joints. Weight control. Your physical therapist will work with you to control your weight through exercise and diet. Controlling your weight helps to prevent added stress on weight-bearing joints. Proper posture. Posture work will help to reduce stress on your joints. Stretching/exercise. Light exercises and stretching will help to increase range of motion in the affected areas. Rest. Your therapist will also recommend a schedule for rest and sleep to complement your exercises. This helps the body to heal and will hopefully reduce your amount of arthritic inflammation and pain. Every treatment regimen is different based on your body’s needs and your particular type of arthritis. Anatomix Physical Therapy has two locations in Mandeville & Hammond, LA. To schedule an appointment with our experts please submit your contact info online by clicking here, and we will be in touch shortly.